108. 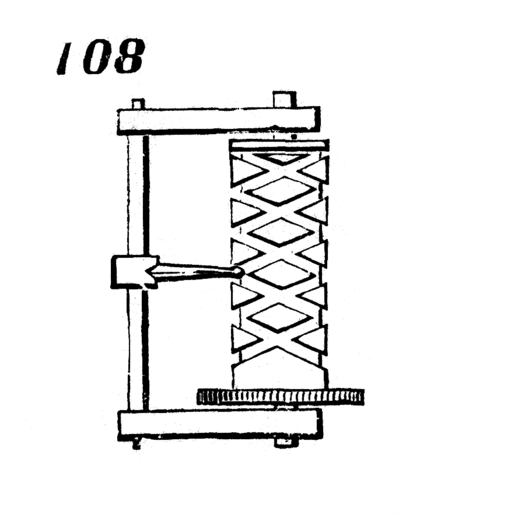 Uniform reciprocating rectilinear motion from uniform rotary motion of a cylinder, in which are cut reverse threads or grooves, which necessarily intersect twice in every revolution. A point inserted in the groove will traverse the cylinder from end to end.